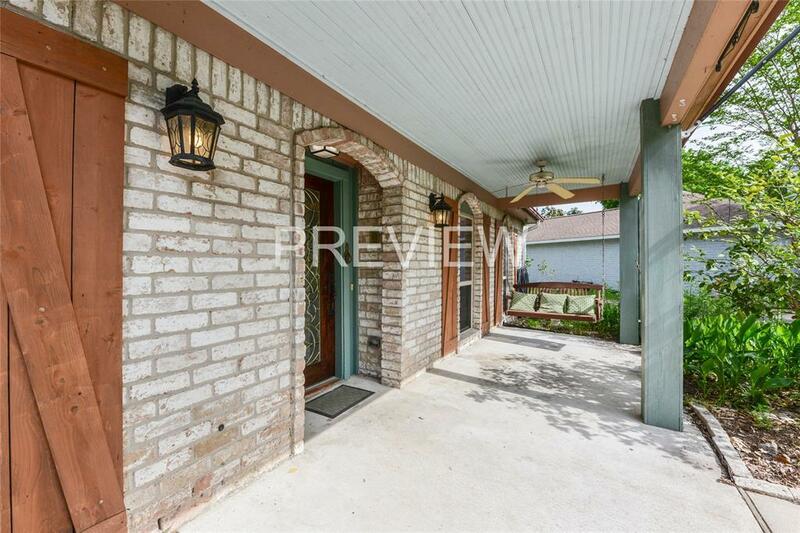 Beautiful 3-2-2 Brick in Energy Corridor! Totally rebuilt inside in 2007, electric, wiring, plumbing, walls, doors, mechanical, HVAC 5 Ton, see attachment for many more upgrades! 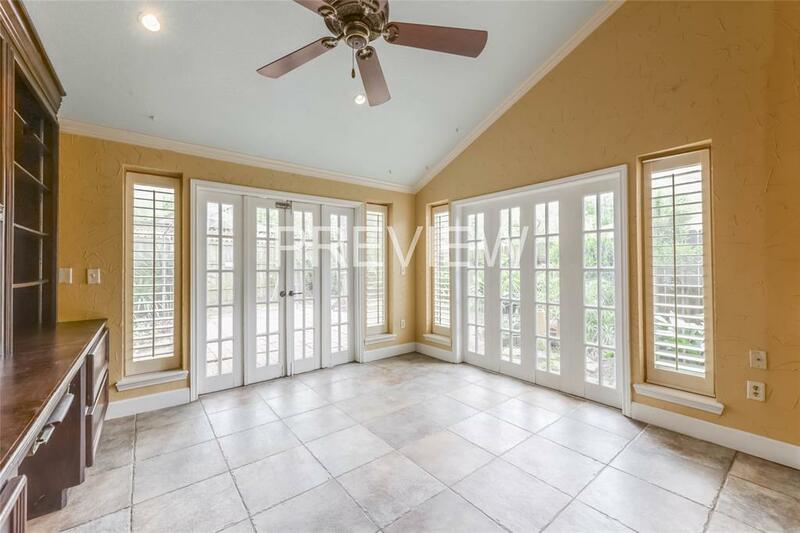 Original New Orleans' French doors, custom fireplace mantel, window shutters. 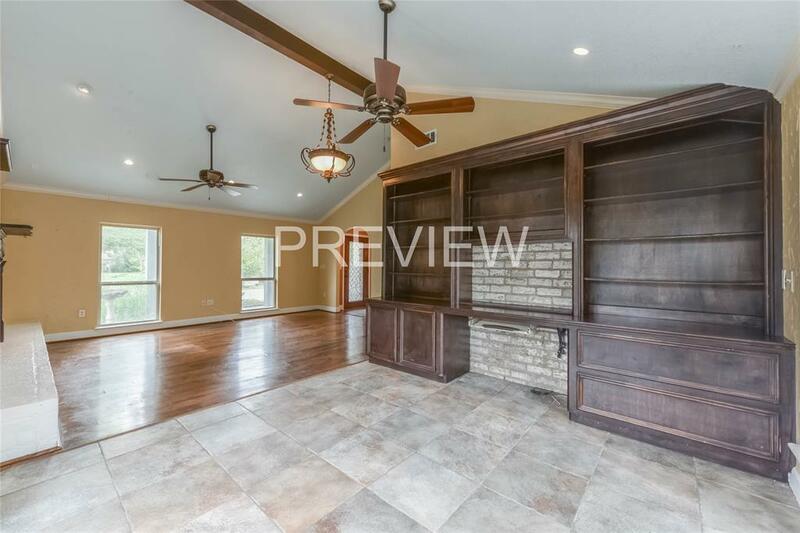 Gourmet kitchen with custom cabinets and bookshelves, Convection AND Regular oven! warming drawer, 5 burner gas cook top with copper pot filler, triple sink, granite counters, SS Refrigerator, Duet washer/dryer, wood & porcelain slate floors, walk in pantry, cathedral ceiling, pot lights, thermal pane windows, solid core mahogany leaded glass front door, master bedroom has cathedral ceilings, french doors to patio,2 walk-in closets with built in vanity , shelves, and a bolted to the ground safe!. Master bath with walk in shower, jetted spa tub, custom vanity with Carrera marble counter. 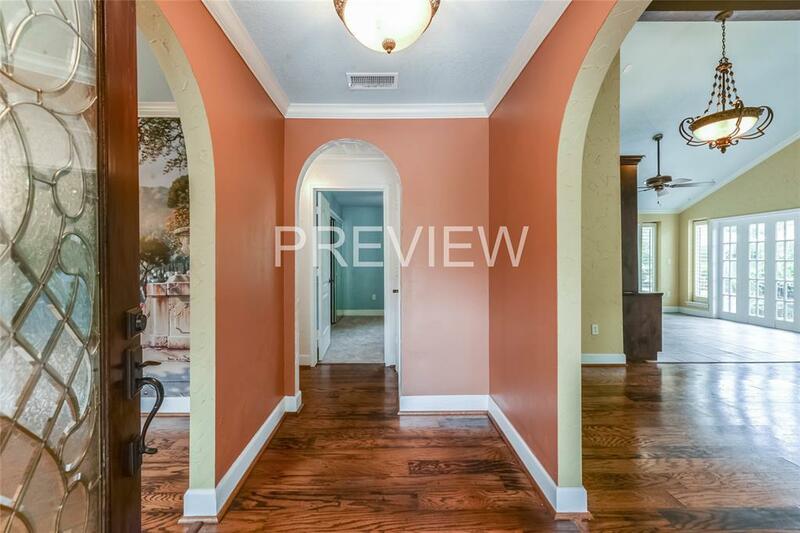 Ceiling fans, insulated AC/heated garage, tankless hot water heater. Custom Built in book shelves in study. Many fruit trees! NEVER FLOODED! Listing courtesy of Everyones, Realtor.